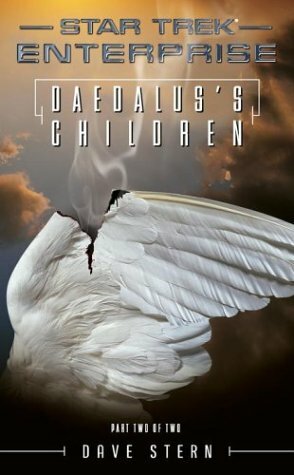 Daedalus's Children is a very similar book to its predecessor. It continues the story of Enterprise's crew trapped in a parallel universe where they are allergic to the food, in the middle of a civil war that they feel partially responsible for. Unlike the first book, this one doesn't just focus on Trip, adding in Captain Archer as a second character to align the reader to. Neither character comes across particularly well though - Tucker feels less stereotypically southern but otherwise both are a sort of bland superhuman without any real emotion. The other main characters from the series are just given rather cursory bit parts, with the possible exception of Travis who at least gets a little bit of action before his limelight is stolen away again. Stern's grasp of science continues to be lacking, which is rather unfortunate for what is at root a science fiction novel. His interpretation of parallel universes leaves a lot to be desired and one particular statement renders the most important plot point contradictory. It's almost as if he had half heard of several concepts and rammed them together and tried to make up the rest without any research. I found it hard to get going with this. 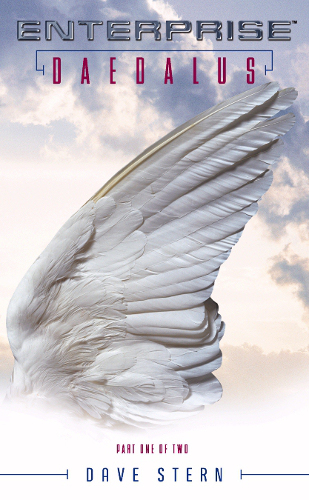 My motivation was particularly sapped by the direness of the previous novel, and so I wasn't too disappointed that this book lived up to those expectations. I wouldn't recommend you bother win either half of the duology - they add nothing to the Star Trek experience.